This is the second of 19 articles that are looking at the meta-results for both team and players, as collected from ELO-Following Football’s wide range of sources. The team finished with wooden spoon in hand, in 18th place, with a home-and-away record of 5-17 and a percentage of 74. Were high, considering where they’d ended the previous year. 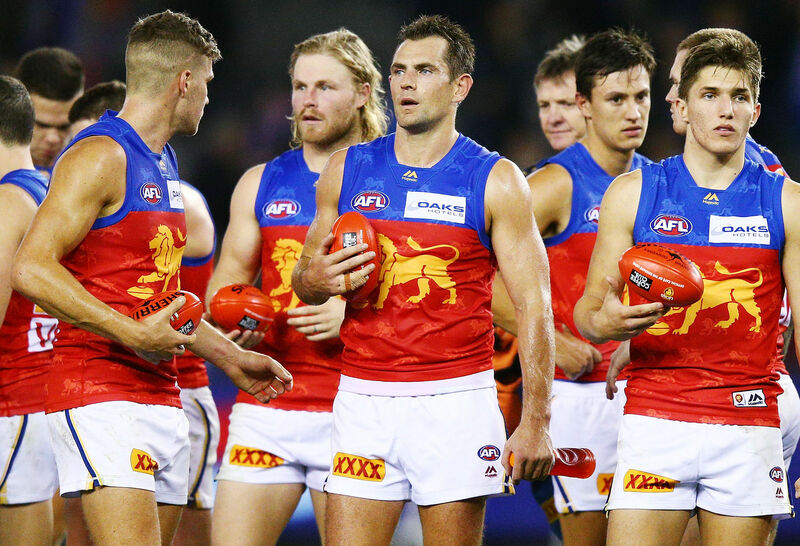 The average placement had the Lions finishing in 15th place, ahead of Carlton, North, and Gold Coast. We at Following Football overshot, seeding them in 12th. 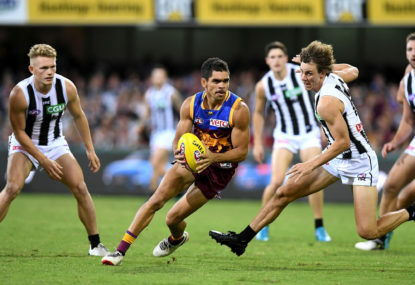 Coming into the season, the players who were considered to be in the top 50 in the league by the AFLPA or The Roar both had the same name: Dayne Zorko (top 20) and Dayne Beams (top 30). With the exact same record as last year: 5-17, although it was good for 15th place this season. While they began the year with eight straight losses, they played the ten games after their R13 bye with four wins and six losses, a reasonably respectable record considering. Their 2018 percentage of 89.1 is the highest for a five-win team in as much history as we’ve been able to track down – can anyone else find a counter-example? Six seasons since the Lions finished outside the bottom four – the last five years have seen placements of 15th, 17th, 17th, 18th, and 15th. They were a lofty 12th in 2013. It’s been ten seasons since they’ve set foot in the finals. That was back in 2009, when they defeated Carlton – ironically – 111-104 in the elimination final, before getting stomped by the Bulldogs in the semi. 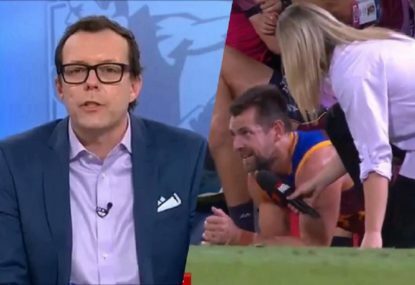 It’s been 18 years since the beginning of the three-year highlight of Brisbane footy history, their three-peat in 2001-3 that lasted all the way until the grand final loss to Port in 2004. According to our patented “ELO-Following Football” rating system, the team started the season third from last, with a rating of 29.6. 50 is average, Richmond was first at 77.8 and Gold Coast last at 17.6 at the time. Despite starting 0-8, their rating continued to hover around that number – they weren’t doing any worse than expected. 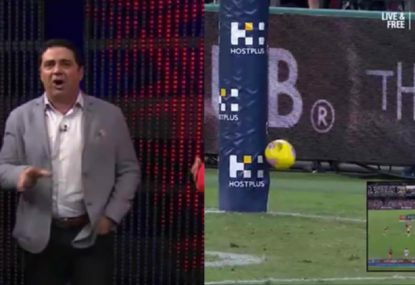 Thanks to Hawthorn collapsing twice against them (once in Round 9 and again in Round 17), they gained 17 rating points from those two games combined. Along with their Round 16 65-point rout of Carlton, those three games account for 23 points of rating gain. That pushed the Lions into and momentarily above average (about 52) for Rounds 18-19. They were actually a team others were afraid to play! By season’s end, they’d dropped back to 39.5 and ended the year rating-wise in 14th place, near their 15th place ladder finish. The other comparable rating systems said much the same thing, although they weren’t as bullish on the former Bears. FMI and The Arc started them in 18th and never had them above 13th, Wooden Finger had them in 16th to begin with, but had such a gap between the top 12 and bottom six that the Lions could never breach it. The Roar predictions: 3-19; individual ballots tallied up to 22 for, 99 against. The Age forecasters: managed to go 5-17 as well; the twelve punters totalled 58-206 for the year. BetEasy percentages: were terribly negative as far as Brisbane supporters were concerned. They predicted 2-20. Our own game-by-game predictions pegged them at 6-16. Take your pick between either of the two Hawthorn victories. The Hawks were favoured by 20 both times; in Round 9, they were winless, but the Round 17 game was at the Tasmanian fortress. The Round 15 win against Fremantle in Optus Stadium was pretty impressive, too. Round 4, definitely. Richmond won the game by the nine-man junior score of 110-17, where the Lions threatened to break all sorts of negative records. 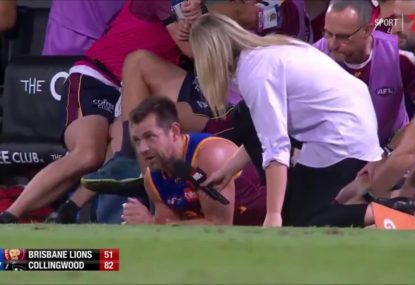 When Dayne Zorko finally scored the team’s first goal of the game, with two minutes to go in the third quarter, they were trailing 78-4. Best & Fairest finish: second. Received 18 Brownlow votes, equal eighth overall and most on the team. Last year’s position: second (20th overall); 10th in 2016.
Notable games: One dominant game (R11), four prominent games (R15-16-17 consecutively, and R22), and one notable game (R19). All-Australian 40-man roster, ELO-FF Top 22 and interchange midfielder. Best & Fairest finish: first, for the fourth time. Received six Brownlow votes, equal second on the team. Last year’s position: first in 2017 (8th overall) and in 2016.
Notable games: Two dominant games (R7 and 8, consecutively! ), two prominent games (R9 and 20), and one notable game (R16). Best & Fairest finish: fifth. Last year’s position: seventh (143rd overall); 19th in 2016.
Notable games: One dominant game (R12) and one prominent game (R5). He got his concussion in R14, missed four games and wasn’t at full strength for the last five – no telling if he might not have been at least second on this list without the injury. All-Australian 40-man roster. Best & Fairest finish: third. Received five Brownlow votes, fourth on the team. Last year’s position: sixth (116th overall) and sixth in 2016 as well. Notable games: Two prominent games (in R3 and R15). Notable games: One dominant game (R9), and two notable games (R17 and R20). Best & Fairest finish: not in top ten. Received six Brownlow votes, equal second on the team. Notable games: One dominant game (R16). Best & Fairest finish: eighth. Notable games: One dominant game (R14). Notable games: One prominent game (R2), even though he seemed so “prominent” on so many occasions this season! Notable games: One dominant game (R10). Last year’s position: fifth (93rd overall), fourth in 2016.
Notable games: One prominent game (R14). Brisbane had five top 100 players and 13 top 200 players in the 2018 ELO-FF meta-rankings. Averages would be 5½ and 11, respectively. Tom Cutler – 15th (55 points), one notable game (R16). Darcy Gardiner – equal 12th (65 points), 4th in Best & Fairest voting, one notable game (R18). 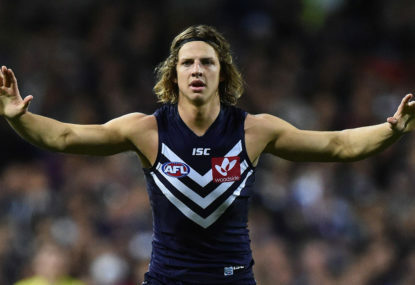 Cam Rayner – equal 12th (65 points), three Brownlow votes, fifth best on the team. Nick Robertson – 19th (35 points), 9th in Best & Fairest voting. Alex Witherden – 14th (59 points), 10th in Best & Fairest voting. In: Marcus Adams, Lincoln McCarthy, Lachie Neale. Gone: Dayne Beams, Sam Mayes. 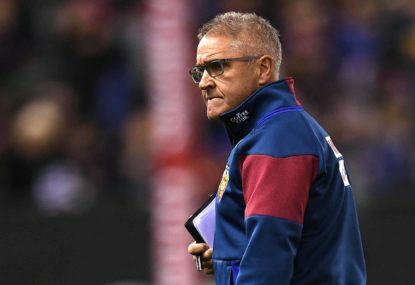 Beams is a big loss, but it’s comparable to Melbourne losing Jesse Hogan – as essential as he was when they were struggling as a team, they now have a cadre of talent to fill that hole. Current list of draft picks: 18, 30, 35, 56, 78. Backs: Adams, Andrews, Cox, Eagles, Gardiner, Hodge, Rich, Witherden. 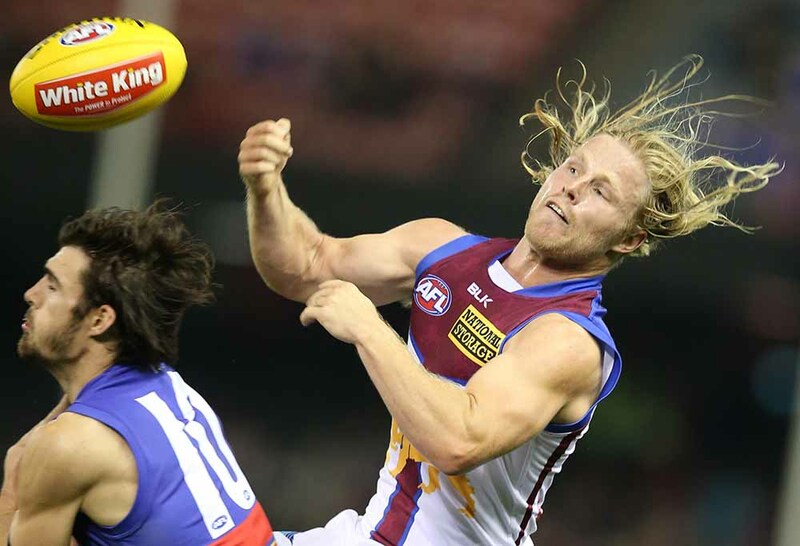 Midfielders: Berry, Cutler, Lester, Mathieson, McCluggage, Neale, Starcevich, Zorko. Forwards: Bailey, Cameron, Christensen, Hipwood, McCarthy, McInerney, McStay, Rayner, Robinson, Taylor, Walker. Of all the signs and indicators that we look at when it comes to trying to read the tea leaves about the future success or failure of an AFL club, there’s one that almost never fails. When a team’s percentage significantly exceeds their won-loss record in a season, be prepared for that club to make a big jump up the ladder next year. The only exception is for already-top tier clubs; usually there’s nowhere else to go but down for them! Last year’s candidate was Collingwood; although the indicators were weak, they’d been building them for three years. West Coast in 2015 went from ninth and 114 per cent the previous year to second place the next. Richmond had a percentageo of 112 per cent with a losing record in 2012 before leaping back into finals the next season. 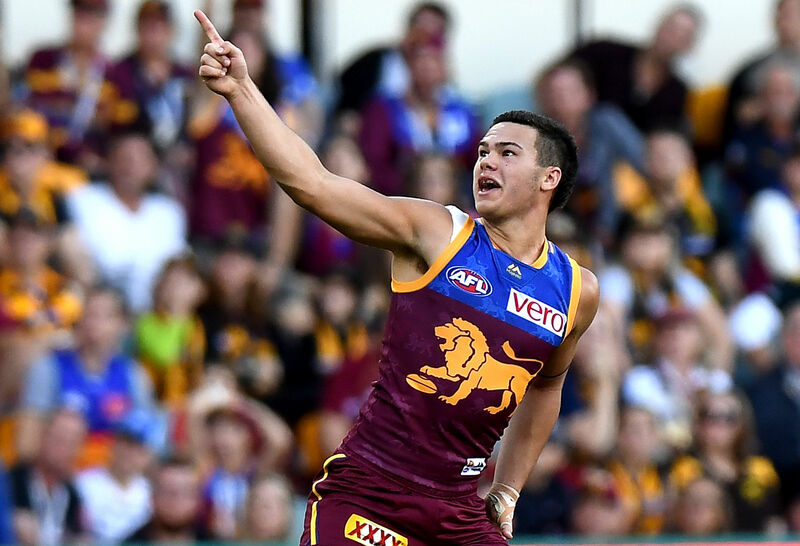 With five wins, but a percentage of 89.1, the Brisbane Lions have every sign of a team that will make a huge jump in 2019. Barring a horrific schedule or GWS-like injuries, we expect Brisbane to make finals next year. 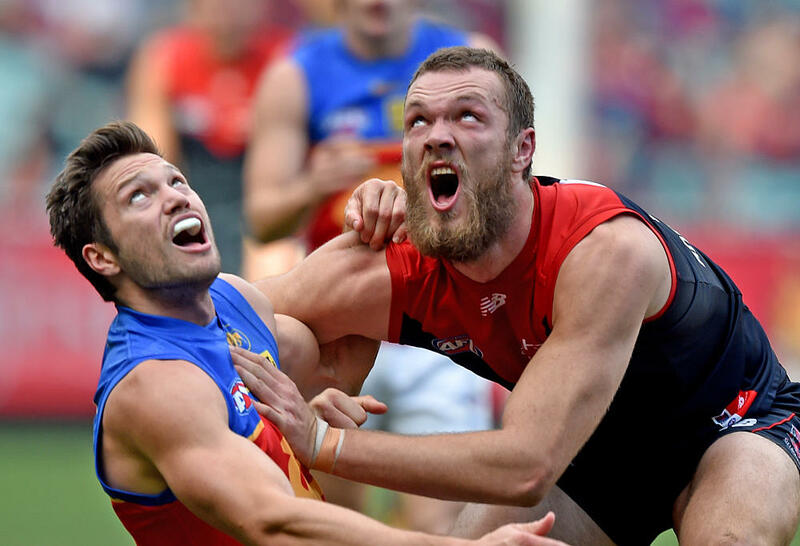 They’ll most likely be in a pack with Sydney, Adelaide, and Essendon for places six through nine, and that would give them a 75 per cent shot at their first finals berth in a decade. We’re calling for a 7th place finish.